RICHMOND – Gov. Bob McDonnell wants to punish Virginia Commonwealth University for what he calls an “unacceptable” tuition hike by the school’s Board of Visitors last spring. The governor stated his intentions last month when he addressed the General Assembly’s budget-writing committees. “The VCU board approved a 24 percent rate increase for the kids at VCU last year. That’s unacceptable,” McDonnell told the Senate Finance, House Appropriations and House Finance committees on Dec. 17. McDonnell’s proposed budget amendment would cut state funding to VCU by $17 million. That’s equal to half of what VCU’s tuition increase raised. VCU had the largest in-state tuition increase in Virginia last year after it raised tuition and fees by $1,700. As a result, VCU’s in-state undergraduate students now pay $8,717 in tuition and mandatory fees. Even so, that’s slightly below the average for four-year institutions in Virginia. By comparison, in-state tuition and fees total $12,188 at the College of William and Mary and $10,628 at the University of Virginia. VCU has more than 32,000 students – just behind George Mason University. George Mason’s tuition this year is $8,484. When they raised tuition last year, VCU officials said they did so reluctantly. They noted that the school’s tuition rates historically have been among the lowest in the state. “VCU has cut costs to the bone over the past several years, so much so that the reductions undermined the quality of instruction,” VCU President Michael Rao said in a press release responding to McDonnell’s action. Rao said VCU needed the tuition increase to make up for a $42 million budget gap created by the end of federal stimulus funding and inadequate state support. VCU received $12 million less in 2009 than it did in 2000, while enrollment has increased 35 percent. “We will work tirelessly with the Governor’s team and General Assembly members during the session to resolve this budget issue in the best interests of our students, their families and the future of the Commonwealth,” Rao stated in the press release. At the same time that McDonnell is seeking to withhold money from VCU, the governor is seeking an additional $50 million for higher education funding overall. McDonnell is proposing a legislative package called the Virginia Higher Education Opportunity Act of 2011. His goal is to grant an additional 100,000 college degrees in Virginia by 2025. McDonnell is also seeking to revive a program to help offset some of the tuition that in-state students pay to private, nonprofit colleges in Virginia. The governor reiterated those goals in his State of the Commonwealth Address on the opening day of the General Assembly’s 2011 session. “The new dollars will be targeted to undergraduate financial aid and funding incentives for efficiency and economic development, technology, increased four-year graduation rates, year round use of facilities and degree attainment,” McDonnell said. Warren County's 12-and-Under Babe Ruth League fast pitch Softball Virginia State Champions celebrate with trophy and practice at Chimney Field readying for regionals. The weekend of July 17-18, two local Babe Ruth League girls fast pitch softball teams representing the Warren County Girls Softball Association will be conducting fundraisers to help facilitate trips to the Southeast Regional Tournament to be held in Alamonte Springs, Florida, near Tampa this coming week. Both teams did their community proud last week in Richmond at the State Tournament. 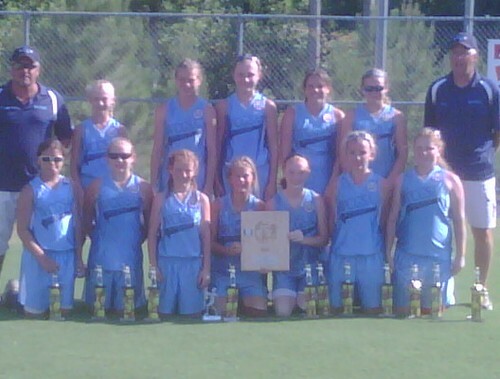 The Front Royal 12-and-Under girls won the Virginia State Championship and the 10-and-Under team was runner up, earning a regional berth as the state’s second place qualifier from divisions representing nearly 270 Babe Ruth League teams throughout the state. Both teams are anticipating expenses of around $10,000 to cover transportation, accommodations, meals and miscellaneous tournament expenses for the teams, coaches and family members able to make the trip. The squads are heading into this weekend going full bore to assure they have the funds to head to Florida for Tuesday regional team check-ins and orientation meetings. Tournaments play begins on Wednesday, July 21 and progresses to the weekend. If you are in town this Saturday or Sunday keep your eyes open for car washes and bake sales set up as team fundraisers. Contact numbers for those wishing to contribute directly to the teams is also posted below. and car washes at both Auto Zone and the Rite Aid parking lots this weekend as well. 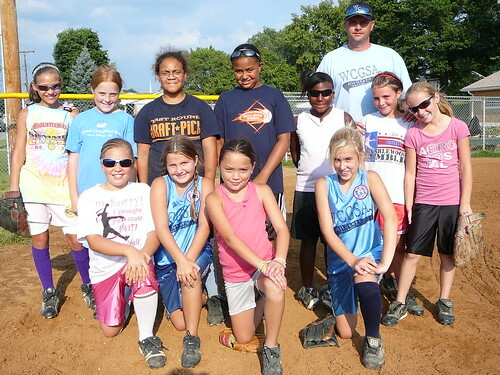 10-U – For more info on these efforts the league may be contacted at 540 974-9879. Michala Caison, Emma Wright, Carrie Robinson (State Tourney MVP), Caitlyn Manuel, Myranda Garber, Makela Dawkins, Samantha Santmyers, Victoria Hamilton, Savannah Jones, Samantha Swecker, Ashley Williams, Amanda Kresge. Coach Todd Robinson noted that unfortunately two players, Manuel and Jones will not be able to make the trips due to other family commitments. Annslee Cockrell, Natasha Grayson, Tamara Grayson, Kima Robinson, Georgia Romer, Kelsi Caison, Myrissa Garber, Rachel Sirbaugh, Camryn Greene, Jayda Saulsbury, Savannah Haffer, Lissette Maya, Libby Hipple and Karlee LeHew. As with the 12 and Unders, Coaches Mike Haffer and Angie Caison noted some loss of personnel – Maya, Hipple and LeHew – for the trip due to other family commitments and circumstances. Congratulations to all the players and coaches for jobs well done – GO GIRLS!!! Warren’s 12-U Virginia State Champions begin North Division Regional Pool play on Wednesday at 6 p.m. versus Kinston Lenoir, NC. Other North Division teams include Creeks, St. John’s, FLA.; and West Ashley, Charleston, SC. One North Division team has already announced its forfeit of a place in the tournament due to the same financial and personnel issues faced by all teams at this point. South Division teams include the host Altamonte Springs, FLA, Marshall County, TENN, New Kent, VA, and Orange Park, FLA. The 12-U Regional Championship Round begins Saturday, July 24 at the Seminole Softball Complex with the Championship game at 8 a.m. on Sunday, July 25 at the same location. Warren’s 10-U Virginia State Runner Ups begin South Division Regional Pool play at 10 a.m. Thursday, July 22, against Creeks, St John’s FLA. Other South Division teams include host Alamonte Springs, FLA; Marshall County, TENN; Down East, Smyma, NC. North Division teams include Ponte Vedra, FLA; Pitt County, NC, Ocala, FLA; Goose Creek, SC; and Glen Allen, VA. There was also one team forfeit announced at the 10-U level. The Regional Championship Round at 6 p.m. on Saturday at Merrill Park and concludes with the Championship game at noon on Sunday, July 25, also at Merrill Park Field. – Google has a new look. 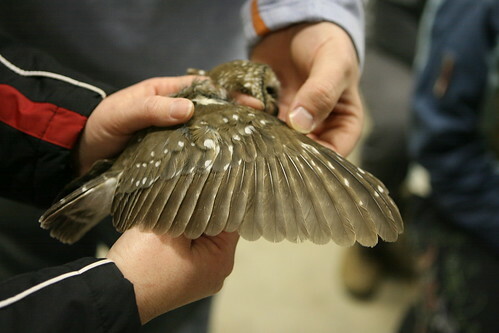 AUDIO: A discussion of coyotes, eagles, bats and owl banding on The Valley Today. Publisher Dan McDermott was guest hosting a talk show today. Dan and WZRV afternoon DJ Lonnie Hill discussed the Friends of Shenandoah River State Park and some critters that populate our favorite river destination. 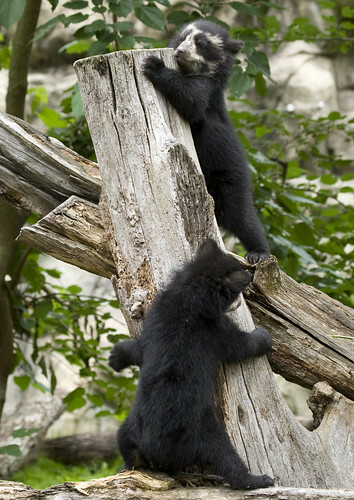 More about Friends of Shenandoah River State Park. URGENT: PLEASE take TEN SECONDS to support a great local school! Voting has begun! Please go to: http://www.earthdayeverydaychallenge.com/ and click on Mountain Laurel’s video (sign of Mountain Laurel Montessori – 4th school listed) to view our 5-minute video. There is also a link to read our essay. Follow the directions to register your vote and don’t forget to confirm your vote when they send you the confirmation email. We think you’ll be very excited to see all that Mountain Laurel Montessori does to help our little corner of the world. 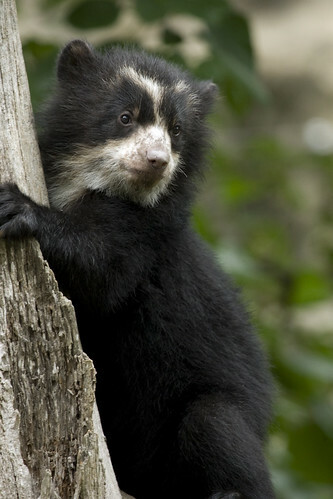 Please vote for us and and urge all your friends to vote, too. Just imagine what our tiny school with a big heart can do with the $20,000 grant! 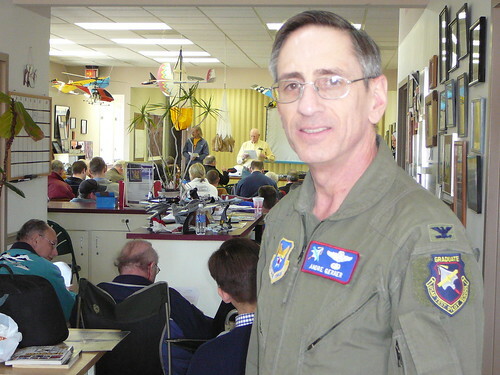 Andre Gerner, former Commandant of the USAF Test Pilot School at Edwards Air Force Base, spoke at the Skyline Soaring Club annual safety meeting on Feb. 7 Gerner also lauded the role of glider flying in developing general aviation skills. 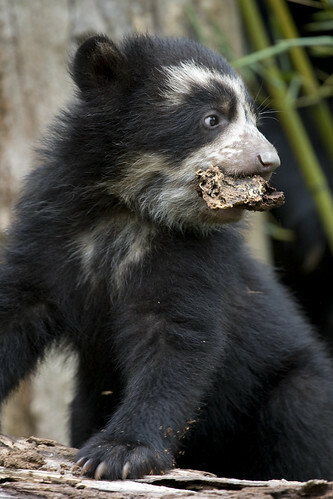 Photo by Roger Bianchini. Did powerless flight skills honed at small general aviation airports such as the one here in Warren County, Virginia, help US Airways Pilot Chesley Sullenberger bring his commercial passenger jet down safely in the Hudson River on Jan. 15, saving the lives of all 155 people aboard in the process? A trio of members and participants in the Skyline Soaring Club’s annual safety meeting held Saturday, Feb. 7, at the Front Royal-Warren County Airport (FRR), as well as their host, Airport Manager Reggie Cassagnol, believe Sullenberger’s experience with glider flight was a contributing factor in his ability to safely guide his US Airways Flight 1549 “Airbus” to a safe “off-field” landing within two minutes of losing all engine power just after takeoff from New York City’s LaGuardia Airport. While a career-long focus on the wide parameter of airline safety procedures was noted, Sullenberger’s experience as a glider pilot was singled out as a crucial part of the skill sets utilized that day to save an untold number of lives in the midst of heavily populated midtown Manhattan. The primary reason is a glider pilot’s constant focus on what to do if the thermal lift upon which gliders are dependent is lost. For while it was a powerful commercial jetliner bound for Charlotte, North Carolina, Sullenberger piloted on Jan. 15, his sudden loss of power after a collision with a flock of birds put him in essentially the same position glider pilots regularly find themselves in – improvising a landing site. Cassagnol points out that when gliders are forced to land short of a return to their airport point of departure, it is not termed an accident or even incident, but rather simply an “off-field landing.” And land off field is essentially what pilot Chesley Sullenberger accomplished with his commercial passenger jet on the Hudson River in the middle of New York City on Jan. 15. Gerner called himself “an avid proponent” of glider flight as an instructional tool for powered flight in a previous position he held. That position was as Commandant of the Air Force Test Pilot School at Edwards Air Force Base from 2005-2007. It is a position he noted, that has been held by, among others, Chuck Yeager and “Buzz” Aldrin. Yeager’s legendary reputation in the test pilot world was immortalized in the book and movie “The Right Stuff;” and Aldrin was the second man to walk on the moon, behind fellow Apollo 11 astronaut Neil Armstrong. “As I was saying earlier, the four tier-one military schools would be the Air Force Test Pilot School (Edwards), the Naval Test Pilot School at “Pax” River, the Empire Test Pilot School in England, and Epner, which is the French Test Pilot School,” Gerner said. “Then there’s also the National Test Pilot School, which is civilian, that’s in Mohave, California, and then Brazil and India both have test pilot schools. Those are the major schools in the West – but the point I wanted to make is all four of those [military] schools use gliders in their curriculum because it’s considered important to expose students to that unique portion of the envelope. “I would require every student to come in and get a commercial glider [license]. I’m just a big fan of that. I think its very effective training. It’s pure flying, flying in its purest sense – stick and rudder, you’ve got to move everything and you’re more in tune with what’s going on,” Gerner says of glider pilot’s relationship to his flight environment. Another glider pilot and safety expert we spoke with at FRR on Feb. 7, pointed to the entire set of flight skills Sullenberger brought to the table to accomplish what he called a first in the age of jet flight. “I would say [glider flight] is a part of Sullenberger’s background which was tremendous. He was a military pilot as well. And he was also well known in the aviation community for participating in various safety issues, the pilot’s union, national investigations and different things like that. So this was a guy who was well beyond this is the job I’ve got from 9 to 5,” Wallace says. “He would be the type of person, who in his head, would be – as we talked about on safety issues today – inclined to constantly think in terms of what would I do if this happens and turn over those what-if scenarios. That scenario was beyond anything in a training simulator. That was Sullenberger – what’s my best option? I’m going to put the plane down there,” Wallace said of the man who became a national hero overnight with his quick response to a set of potentially fatal variables. “Because of increasing automation that you find on airliners, there’s fewer and fewer opportunities for manually flying the airplane – stick and rudder time – because a lot of our philosophies and procedures and practices now are based on using automation,” Skyline Soaring Club member and Sullenberger’s fellow US Airways commercial pilot Curtis Wheeler told us. “There’s a lot of benefit to that, but also it causes a loss of skill in just hand flying the airplane. So what you can realize in an operation like we have here in Front Royal, is we have the opportunity to fly airplanes that don’t have any automation at all. And that gives us a better understanding of just the process of doing that. As for commercial pilot training for flight emergencies, Wheeler added, “We have a lot of training events that we have to cover in our simulators, which are mandatory. But we can’t cover every possible contingency in a simulator because we have a finite amount of time in there. And US Airways has already acknowledged that there isn’t a simulator event for ditching that’s done. We study it. We read about it. We mentally prepare for it. But it’s considered a remote possibility and receives a lower priority in the training hierarchy than a lot of the more likely things that could happen, like engine failures – not that they’re likely but they are more likely than ditching,” Wheeler explained of industry-wide training priorities. “I think that the best pilots look at all the available resources in aviation to try to prepare themselves – and I think most pilots do this – just to take advantage of all the different resources that general aviation provides in order to give some awareness to these hand flying scenarios, different scenarios that are not routine in airline flying. We’re flying around small airports, closer to the terrain than we would be in any circumstance in an airline operation. 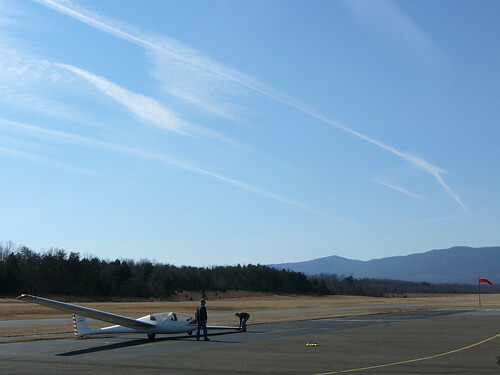 For information on scenic glider or powered flights over the Northern Shenandoah Valley, as well as flight instructions offered out of the Front Royal-Warren County Airport, call the airport at 540 635-3570.